I bet you're thinking of a sandwich right now. A peanut-buttery, sweet, sticky, honey and banana sandwich. It'd be delicious. And so would this variation on Overnight Oats. 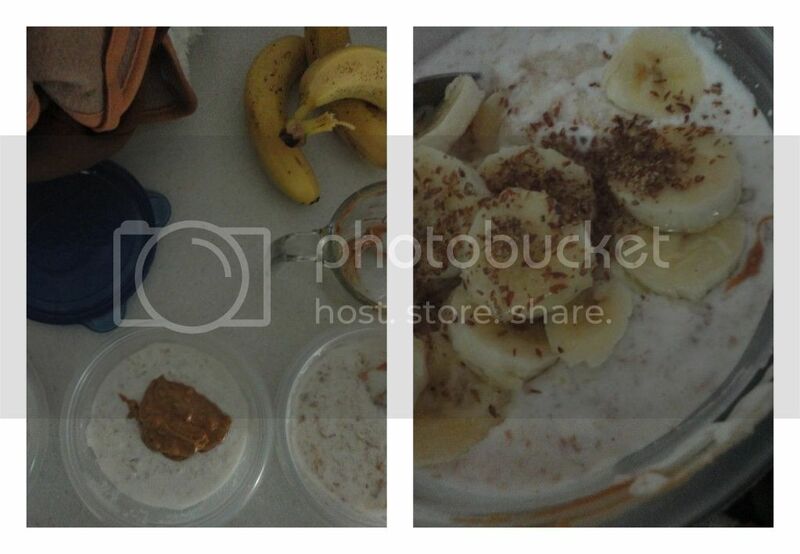 Overnight Oats + Fresh Bananas + Honey + Slightly melted Peanut Butter. Sprinkle a little flaxseed on top.